“Columbine locks” will be put on every classroom door from kindergarten to high school in the state’s second-largest school district. The doors can be opened at any time from the inside, for safety reasons. When the 2,000 students return from spring break Monday at Lewis and Clark High School, they will be part of the next generation of school safety: studying in classes behind locked doors. After 2015, all new construction for Spokane Public Schools included two-way locks on their doors. The bond from that year also included money to install the locks, sometimes called “Columbine locks,” on every classroom door from kindergarten to high school in the state’s second-largest school district. Mark Sterk, director of safety, risk management and transportation for SPS, said the old locks forced teachers to physically step outside into the hallway and lock their classrooms from the outside. “My staff and I have taken the time to critique every school shooting across the country,” the former Spokane County sheriff said. “It’s really clear that the best practice for all of our schools is to not only have the door shut, but shut and locked. District spokesman Kevin Morrison said the district had Sterk present his findings to all of its principals. But school officials are leaving the decision to lock classroom doors up to each school. As part of its security upgrades, the district late last year finally completed updating every school in the district to have a single point of entry. But Morrison said the district also installed the locks that were designed to prevent someone from entering the classrooms. However, to comply with fire codes, the doors allow teachers and students to open them from inside at any time in order to leave. Lewis and Clark High School Principal Marybeth Smith announced to students last week that the locked doors will be part of their routine starting after spring break. Smith said the added security measures must be weighed against turning schools into something else. Lewis and Clark will try the locked classrooms for the rest of the school year and then re-evaluate, Smith said. Rogers High School Principal Lori Wyborney said her school’s teachers have been locking their classroom doors since late last year without a hitch. She quipped that teachers had already made it a habit to shut their doors because her voice booms as she patrols the halls. “I have not heard any complaints to be honest,” Wyborney said. “After the Parkland shooting, for the first time in my career I felt my entire staff anxious about school safety. The shooting on Sept. 13 at Freeman High School occurred before class and in a main hallway. But the shooter at Marjory Stoneman Douglas High School, in Parkland, Florida, went inside classrooms seeking out more victims, Sterk said. 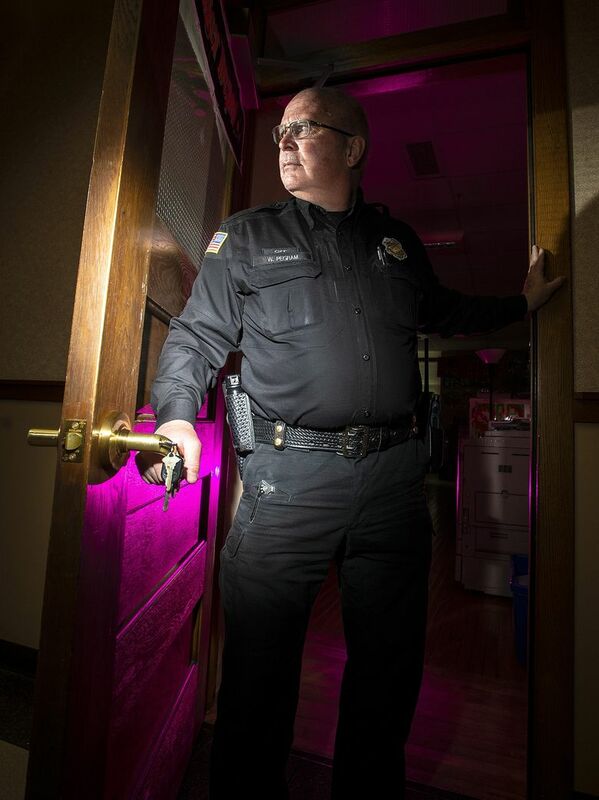 Sterk, who was hired as a Spokane police officer for Expo ’74, said he would have never dreamed back then that he would be researching school shootings to suggest safety measures to include locking classroom doors.